In short, the kit includes everything needed to provide a great starting kit for someone. I'll see whether the lenses ever get used. The 18-55 is a very nice range for walking around. It's compact size is a plus. And it provides more at the wide end than does my Canon EF 24–105mm f/4L is II USM, a great "walking around" lens. I have yet to unbox the Canon EF-S 55-250mm F4-5.6 IS STM Lens and will likely eBay it. But, I digress. First impressions of the 80D are very favorable. Build quality seems very solid. It is smaller than the 40D, which I like. My hands aren't that large. The 40D with grip always felt a bit big. The 80D is more comfortable for me to hold. It has a nice grippyness to it that inspires confidence. Controls are similar enough to the 40D that the learning curve is shallow. It has been a quick transition. Yes, the on/off switch is in a different location. And, yes the 80D has more buttons, but the layout is logical and well thought out. I especially like the location of the focus-point selection button. It makes changing the active focus point (or set of focus points) intuitive and easy. The built in level is another nice feature. The in-viewfinder level feature is, based on initial trial, too finicky for practical use. Perhaps, with practice, it will become useful. The swiveling touch screen is a nice touch. I'm still getting used to the touch features, but they are VERY handy. ISO performance is promising. The 40D got noisy at ISO800 and ISO1600 was usable under very special circumstances. The 80D, on initial trials, appears useful to ISO6400, and possibly above depending on conditions. This means that routine shooting at ISO800 or ISO1600 is possible. This low light performance opens interesting creative possibilities. The 80D's 45 focus points is a vast improvement over the center clustered short list of focus points. The 80D focus performance is fast and sure. So far, I've only tried single shot. AI Servo mode trials remain. Video? So far, I've shot but a couple minutes of exploratory video. Too soon to render any opinion on that front. What else did I consider? I carefully considered the Canon EOS M50. The feature set and the DIGIC 8 processor (vs the DIGIC 6 in the 80D) got my attention. But, ultimately, the diminutive size of the M50, it's lackluster battery life, and questions about AF performance with my L lenses and the adapter tipped me away from the M50 to the 80D. So, there you have it. Very initial impressions of the Canon EOS 80D. Image quality? A topic of a future post when I have some samples to share. About 2.5 years ago I shared initial impressions of the 7" Kindle Fire tablet. My impressions at the time were and remain mixed. The inability to run Google Apps remains a major annoyance and significantly limits the tablet's functionality. A saving grace is that the Amazon App Store distributes the INO Reader and SONOS apps. Critical in my world. And the battery would last almost a week of normal usage. About a month ago, the Fire's battery life took a dive. The battery drains rapidly, even when the device is not in use. The tablet must be tethered constantly to use-enabling power cord. Very frustrating. But not unexpected. 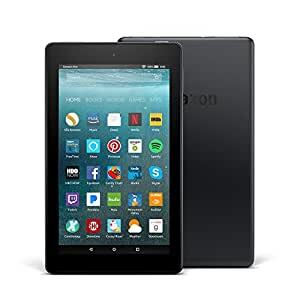 Another Kindle Fire that graced the Digito Household experienced a similar sudden departure from utility. Sigh. Based on these experiences, it is unlikely another Kindle Fire will cross my threshold. In case you are wondering about the iPad 2 ... well, it still lives. Sort of. It is glacially slow. Ya gotta love Apple's strategy of fatally crippeling devices that are otherwise functional. It lives on the handle bar mount of the bike on a trainer and serves (sort of) as an entertainment device. I say, sort of, because the only app that works with some dispatch is the timer app. At least I know how long I've spun the pedals. While we're on the subject, a Samsung Tab A 8" tablet has been my workhorse tablet for the past couple years. The size is great for many applications, including running the fabulous Navionics Boating USA HD app when sailing Meridian. Costco is currently running a killer deal on a Samsung Tab A 10.1" tablet. I couldn't resist and ordered one. It should arrive early next week. I look forward to having more screen real estate available for route planning and for Kindle books that have lots of detail, such as Nigel Calders's classic and enormously useful Boat Owners Mechanical and Electrical Manual 4/E. Whoo boy! I've been a Quicken and Quicken Bill Pay user for over three decades. Like many, I would update every two or three years. Intuit's annual incremental upgrades were never too dramatic. The accumulation of two or three years of incremental upgrades generally yielded a useful improvement in my user experience. In April 2016, H.I.G. Capital acquired Quicken from Intuit. The Notorious H.I.G. promptly switched business models from the legacy shrink-wrap physical product in store shelves to a subscription model. In effect, Quicken has always been a subscription product. Typically, connectivity services would go dark after three years. A functionality loss sufficiently aggravating to inspire splurging on the latest Quicken version. Thus restarting the cycle. The Notorious H.I.G. transitioned Quicken to an annual subscription service. Akin to Adobe Creative Cloud, software functionality ceases absent a current subscription. I had Quicken 2017. The Notorious H.I.G. established end of life at April 30, 2020. I fully intended to milk this version for all it was worth. I'm not one for conspiracy theories, but it was oddly coincidental that, each Quicken 2017 update brought significant technical issues. The most annoying was an issue that prevented entering the password needed to download transactions. A fresh install fixed the issue. But my confidence was shot. And what should magically appear in my inbox but an offer for a two year Quicken Premier subscription at a 40% discount. Intriguingly, the Quicken Premier subscription includes Quicken Bill Pay. I've been paying forever $9.99 a month for Quicken Bill Pay. Two years of Quicken Bill Pay exceeded the cost of the two year Quicken subscription. Hmm .... that got my attention. Curious, I contacted Quicken support. If I subscribe to Quicken Premier, will my existing QuickenBillPay account stitch over and the monthly charges stop? Yes, I was assured, they would. So I took the plunge on June 30, 2018, and ordered up a two-year subscription of Quicken Premier. The download and install of Quicken 2018 happened as one would expect. No surprises. All accounts loaded, banks connected, etc. All seemed OK.
A couple weeks later, a $9.99 charge for Quicken Bill Pay appeared in my bank account. Puzzled, I again contacted Quicken customer support. The perky customer service rep. admonished me, "Oh, no, you must cancel your old Quicken Bill Pay account and create a new Quicken Bill Pay account. And here's a URL pointing to the details you need." Gee, thanks! Would have been great if the customer service dude had shared that keen intel last week. So, I initiated creation of a new QuickenBillPay account. Entered payment account info and, sat back. A perky email promptly arrived informing me that two micro deposits will appear in the account in approximately 48 hours. Enter those amounts to finalize account registration. Swell! When the micro deposits failed to appear after a week, I again contacted Quicken customer support. The very helpful individual quickly diagnosed that I made an error when entering the account number. He stepped me through the simple process of establishing another payment source with the correct account information. He promised that he micro deposits needed to confirm the payment source would appear within 48 hours. Fast forward another week, the micro payments are still M.I.A. I placed another call to Quicken customer support. Now, the Quicken Premier subscription includes "Priority access to customer support." Quicken appears to consider a 25 minute wait time "priority access." Nonetheless, I eventually connected with another perky customer service rep.
She asked: Have you submitted a voided check? Me: Um, no, I've not been asked to. She: We are backlogged and the micro payments won't appear in your account for 12 to 14 days. Me: Oh, swell. Oh, by the way, two days ago, I was charged for QuickenBillPay. I cancelled that. She: Oh, that was your final payment. Me: Oh, swell, so far I've been charged about $20 for an account I thought was closed. Quicken has disabled all payment accounts attached to that QuickenBillPay account. At the moment, I have no online payment service active. She: Would you like me to reactivate your old account? So, here we are, six weeks after activating my Quicken Premier subscription, still dorking around finalizing configuration of my QuickenBillPay service. To be continued, I'm sure.